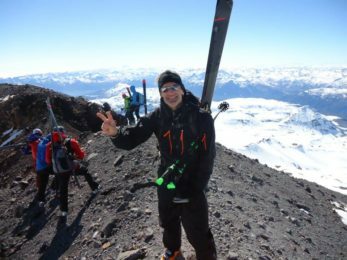 Eduardo, a IFMGA certified mountain guide from Pucón (Chile), has a great mountaineering plan for all levels of climbers: reaching the summit of the Lanin volcano in a 2-day expedition. Why don't you join him? Welcome to a really exciting ascent to the highest volcano in the Patagonia! I am happy to invite you to live two unforgettable days climbing up to the summit of the Lanin Volcano (3717 meters of height), just in the border between Argentina and Chile. 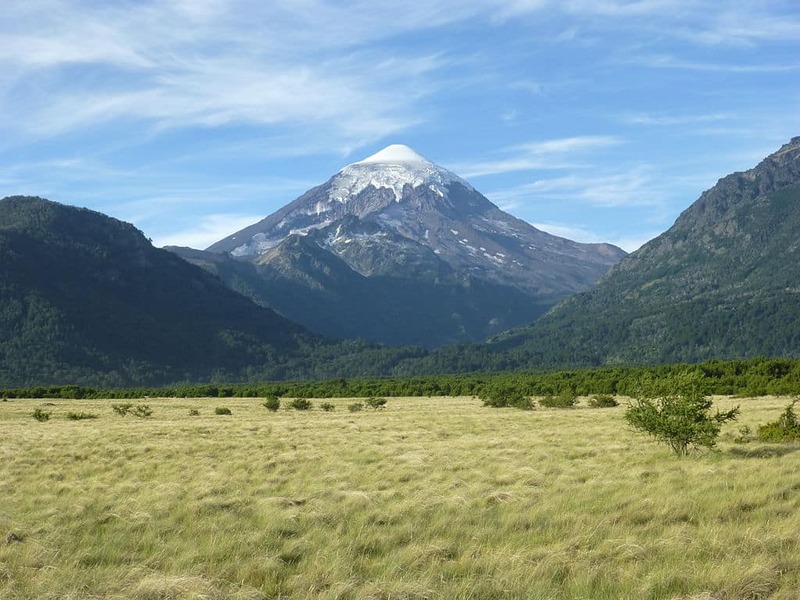 The Lanin volcano is surrounded by amazing natural wonders. Moreover, from its highest point you will admire Patagonian huge lakes and many other volcanes of the Andes. Undoubtedly, this 2-day guided ascent and will remain in your memories forever. As for the itinerary, this journey starts in Pucón (Chile) from where a transfer will take us to the base of the volcano. So, here we must hike up to the high camp where we’ll spend the first night. The second day is the most important since we will reach the summit after around 6 hours of ascent. After some pictures and celebrations, we will return to Pucón, where this amazing trip ends. I will lead a group between 4 and 8 guests. The ascent to the Lanin volcano is suitable for all level of people. There is no technical difficulty during the climb. With a good physical condition is more than enough. The best period to come is from November till May, during the South America spring and summer. 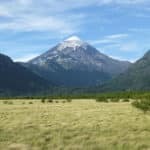 They are also perfect seasons to enjoy many other programs in the Chilean Patagonia, such as this awesome 3-day trek in the Maipo Valley! So, are you joining me? If your answer is YES, I AM please fill out the form and get in contact with me. It will be my pleasure to guide you through the immensity of the Lanin volcano!